You put your truck to work. Hauling materials and gear, going off the beaten track, driving with a sense of purpose—your truck is under a lot of stress, and so are your tires. Factory recommendations for a truck alignment typically call for one every 1 to 2 years or 10,000 miles. If you put your truck through its paces, you may need one much sooner. 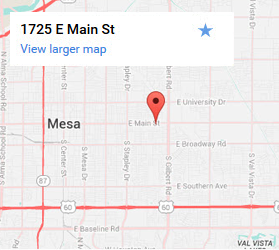 All it can take is a pothole to throw off your alignment, but at Straight Line Suspension we make suspension and truck alignment in Mesa, AZ easy. Arizona is home to a wide range of commercial truck fleets and truck enthusiasts. Off-roading, commercial, work, personal, and tractor-trailer trucks all have different stressors. Companies with truck fleets, like construction, landscapers and municipal businesses, need regular alignment maintenance as well. We know how to diagnose your alignment, and determine if other parts are working correctly. This includes checking spring ratings for correct weight support, identifying axle damage, and analyzing other areas that can lead to alignment problems. 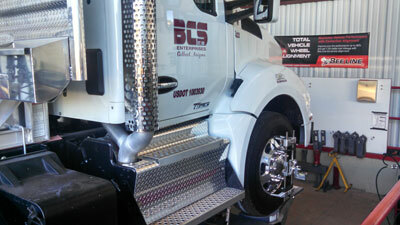 Our state of the art facility makes it easy for our technicians to diagnose and align your truck. Get affordable, fast truck alignment and suspension work that gets you back on the road. Your truck is pulling to the right or the left. Even when you are driving straight ahead your steering wheel is off center. Improve your vehicle with a Mesa, AZ truck alignment. There are some great reasons to have your truck regularly aligned. A properly aligned vehicle drives straight—no more pulling in a different direction. You’ll also save money as your tires wear evenly and gas mileage improves by up to 10%. If you suspect a misalignment we can diagnose your truck. We look forward to serving your commercial and recreational truck alignment and suspension needs! Contact us for a truck alignment today! With scheduling options that often allow for same day service, we’ll do our best to get you in right away. We work hard and stand by the work we do. When you need a truck alignment, Mesa, AZ drivers can rely on, call (480) 422-8511 or contact us today.